Along with Johannes Schlüter I worked on the interior design of the newly opened Azurer Collection Store in Hamburg. 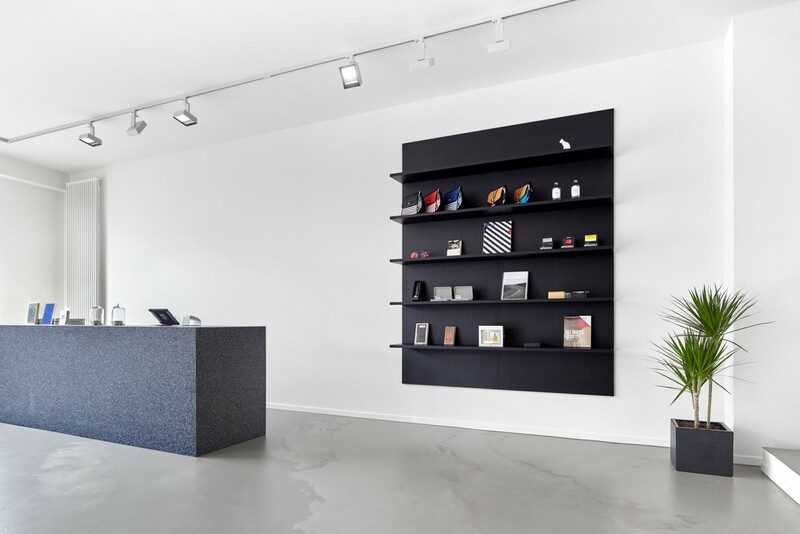 The store offers minimalist high quality clothes and accessories as well as art literature. 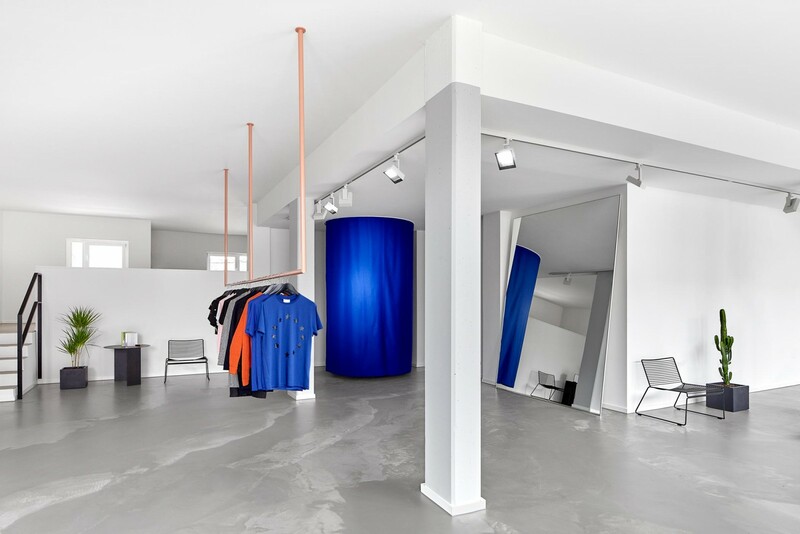 Consistent with the minimalist concept we limited the furniture to clothes rack, changing room, counter, shelf, mirror and display. 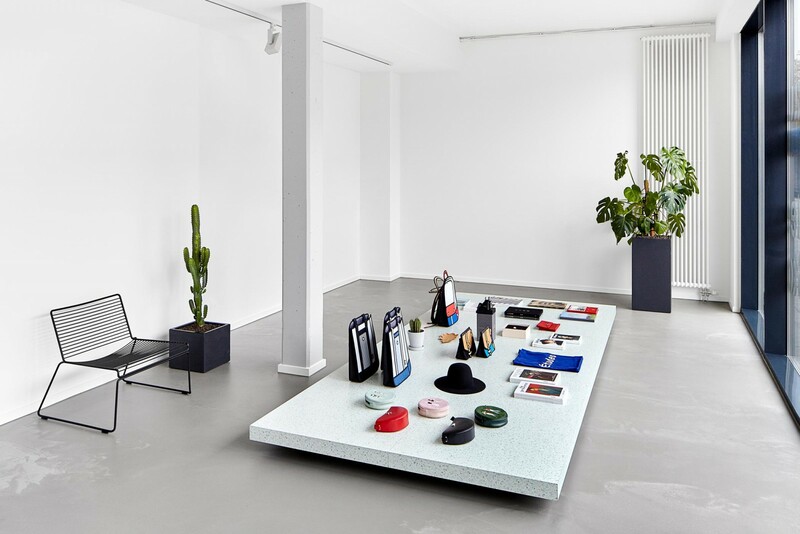 These objects dominate the wide space with their oversized and clear form and their materiality.